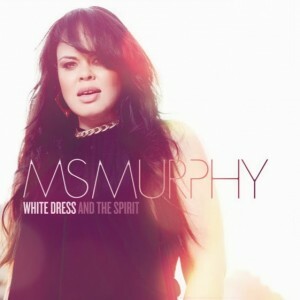 We’ve mentioned former ‘The Voice’ star Ms Murphy once already since our return from hiatus – and here we are again, with the cover of her forthcoming EP ‘White Dress And The Spirit’ and news that the silken-voiced starlet will be hitting the road in support of it from later this month. Things kick off with the previously mentioned launch show at The Vanguard in Sydney on January 23, but the tour then trundles through parts of New South Wales and Victoria where she’ll be performing tracks from the EP, including lead single ‘Ritual Union’, which was officially serviced to media yesterday. The track, a cover of Swedish outfit Little Dragon’s 2011 single of the same name, is already available through digital retailers, while the EP will drop on Friday January 24.